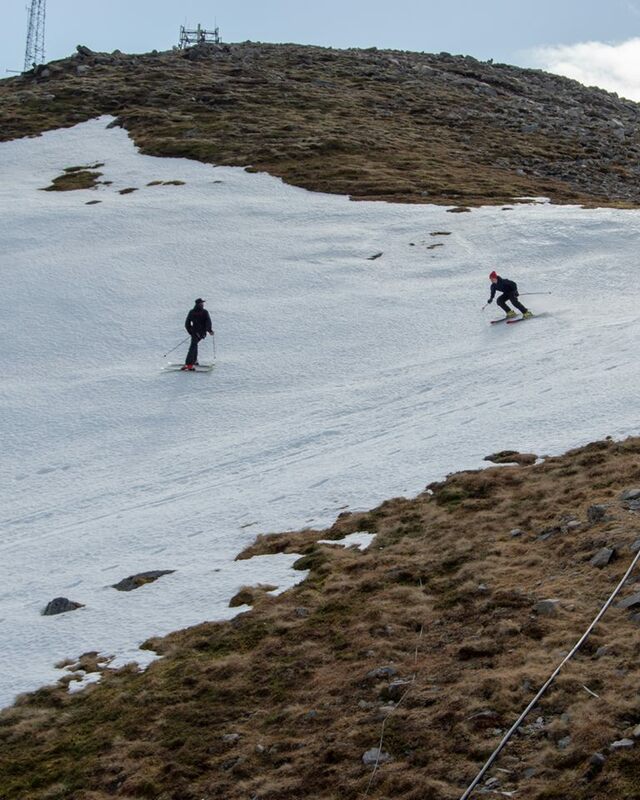 Will Scottish 2018-19 Ski Season Re-boot for Third Time? 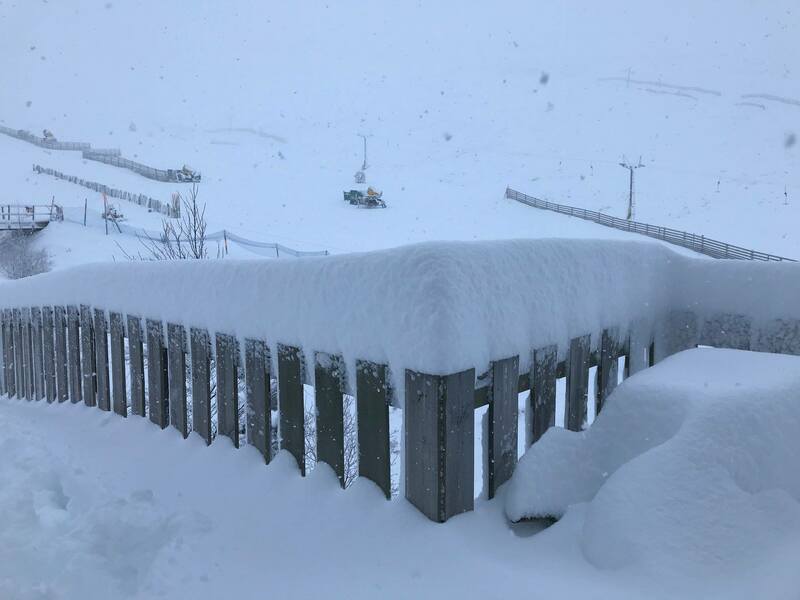 Scottish ski areas are hoping that the recent arrival of heavy snowfall may allow them to re-open terrain for the Easter holidays. 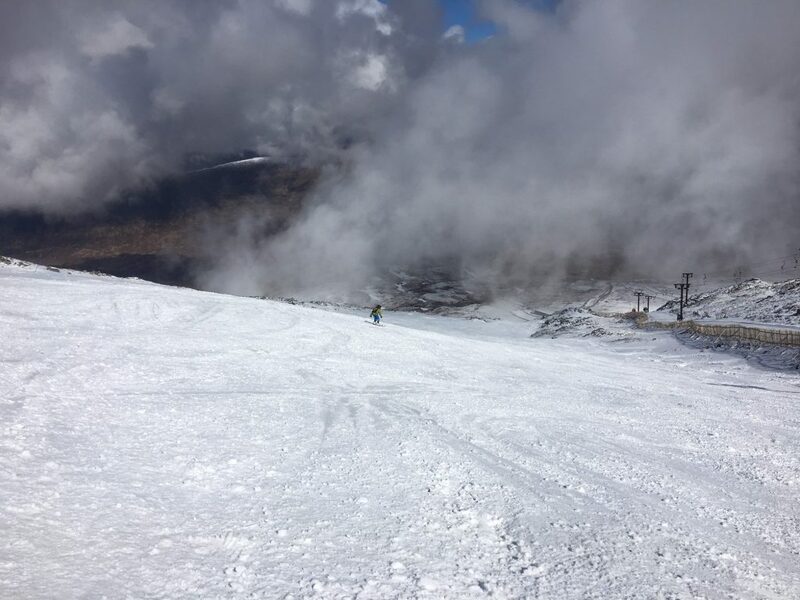 Winter 18-19 has been a challenging one flor the country’s five Highland ski areas with a long dry period at the start meaning the season hardly got going until February. Then the warmest ever recorded temperatures thawed all the cover. 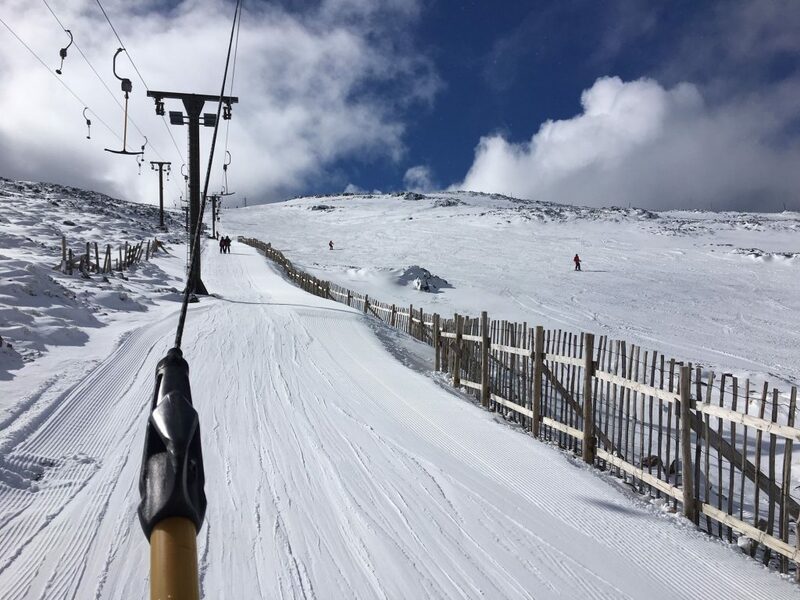 This re-built through the first half of March allowing all five areas to re-open for a few weeks with, at the high point a fortnight ago, more than 70 runs open. However subsequent further thawing at the end of the month had meant Cairngorm, Glenshee (pictured above on Sunday when officially closed for snowsports) and The Lecht had largely closed (other than a beginner area maintained by an all-weather SnowFactory snowmaking machine at The Lecht) and there was limited skiing atGlencoe and Nevis Range on the western side of the country. Things started to look up, at Glencoe at least, at the start of this week when fresh snow fell, freshening up the remaining cover. The picture above was taken yesterday. Now overnight snowfalls may mean other areas can re-open at least some terrain once the current stormy weather passes. “No April Fool’s this morning. Over 40cm of snow has fallen at Base Station level and it is still snowing pretty heavily. There is a lot of snow around the Glenmore corridor as well. Our snow gates are closed at Glenmore and the road from Aviemore to Glenmore is pretty sketchy. 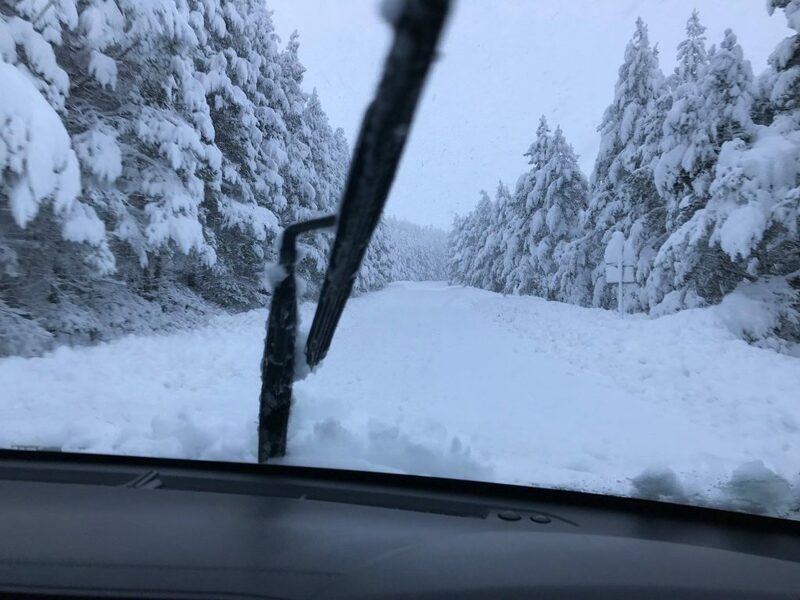 We are working to clear the ski roads and car parks but due to the volume of snow we have no timescale in this,” a spokesperson for Cairngorm’s piste crews said this morning, posting the picture above.